They are widely cultivated as annual or perennial ornamental plants and since long they are used as a symbol of sleep, peace and death. Poppy seeds are rich in oil, calcium, carbohydrates and protein. Oil is used for cooking. Plant blossoms in spring and summer. Introduction and Uses: The poppies are among the most popular flowers. The plant is erect and bears cup-shaped single or double flowers with delicate frilled petals. The flower color may be white, all shades of pink including salmon, pale mauve, blue, blue and dark maroon, all with a white base, and many have attractive picotee edging. The poppy is used as a cut flower and for growing in flower beds, borders or drifts. The flowers last long if the cut ends of stems are dipped in boiling water (avoid the steam reaching the flowers) or charred in flame. Only half-open flowers are cut for decoration. 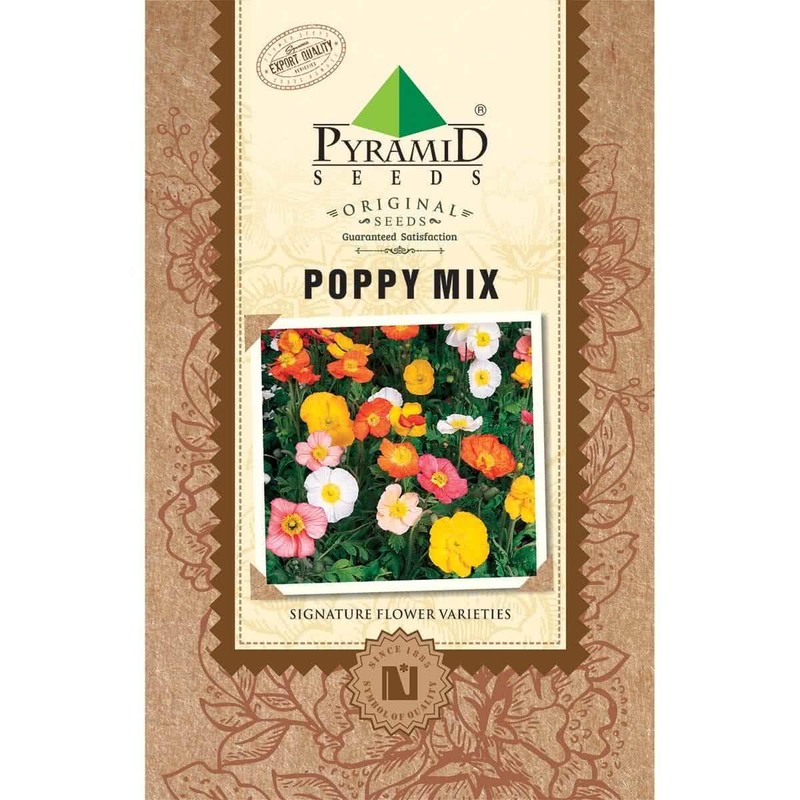 Poppy is raised by direct seed sowing in pots, containers, and flower beds. Seeds are sown in September to November for winter flowering. Planting Distance: Seedlings are thinned out 25-30 cm apart. Watering: Outdoor beds can be watered once a week by flood irrigation. 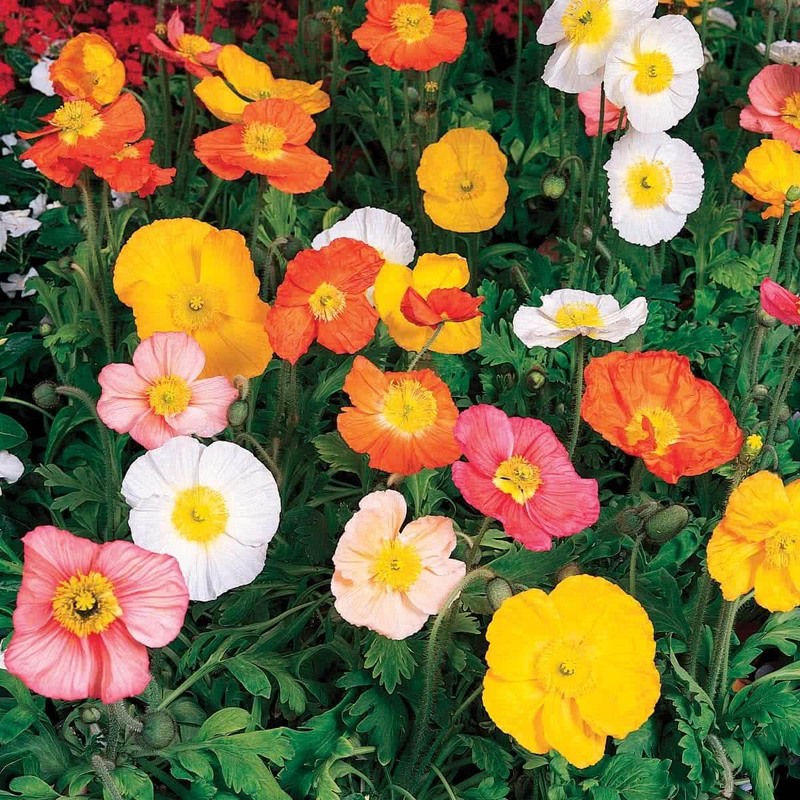 Plant care: Poppies are very hardy plants, and can even withstand severe frost. Bloom time: Poppies take about 2.5 to 3 months to bloom after sowing. The flowers do not last long in the field as petals are easily blown off. Deadheading: The seed pods should be removed as soon as they are formed to have continuity in bloom.